Posted April 7th, 2014 by Simon & filed under Entertainment. Forget about the neon lights of Las Vegas or the 1920s vibe lingering in Atlantic City, because you haven’t gambled until you’ve done it Southern-style. Biloxi is more than just a genteel, hospitable Mississippi city with a hometown feel, it’s also a site filled with excitement. Lady Luck likes to vacation there all year round, so if you visit for a little high stakes gambling or casual, low-key gaming, you might just find her sharing a cocktail with you. Actually, you will not waste a single moment at Margaritaville, in spite of what the famed song says. Naturally, the Margaritaville Casino and Restaurant is part of Jimmy Buffett’s laid-back legacy. If you’re a Parrothead with a penchant for playing games, this is one of the best casinos you’ll ever visit in Biloxi. The town is well-known for its cool, easy pace, and it’s the epitome of the slow-moving molasses reputation of the South. Margaritaville follows suit, offering guests a taste of tropical getaways where the margaritas come complete with the chance to win big. You really can’t resist a casino with a name like Boomtown. What’s even better is that it’s a themed spot. Called the “local’s casino,” you won’t just feel like a local, you’ll also feel like an old west cowboy (or cowgirl). The Boomtown Casino lives up to its name, because each time you enter, you feel like you’re stepping into a settlement in an old-time frontier. As you pony up to the table or even the slots, you might well expect a proper saloon girl to deliver your good luck cocktail. Choose your table game with care, though, and take a break now and then to enjoy the food. You’ll get to stuff yourself on homey comfort food, not to mention your own self-made soda pops. If you’re looking for a Monte Carlo experience in Biloxi, have no fear. 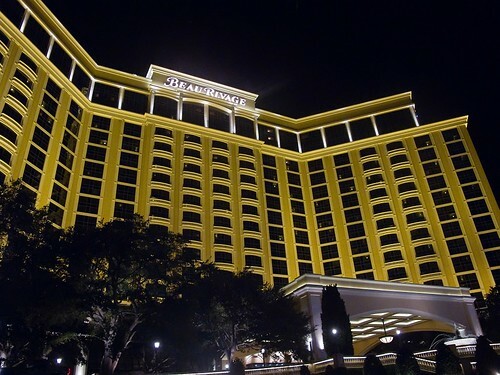 Beau Rivage is a high-class kind of casino, one that will make you feel like a high roller celebrating in the lap of luxury. You’ll get to enjoy an on-site hotel, not to mention scores of salons and spas, shops, buffet and dine-in restaurants, clubs, a theater, a golf course, and a pool. What more could you ask for on your trip? Can you imagine placing your bets aboard a boat? Even in the grand tradition of Southern riverboat casinos, the Treasure Bay Casino stands out from the rest. This isn’t a riverboat, it’s a pirate ship, and the treasure is all yours if you play your cards right. This is a great place to visit even if you just want to try something new, and the view at night is especially praised. Biloxi is a treasure trove in its own right, and it’s a fantastic place to visit no matter what your aims. Do you think you might try your luck?